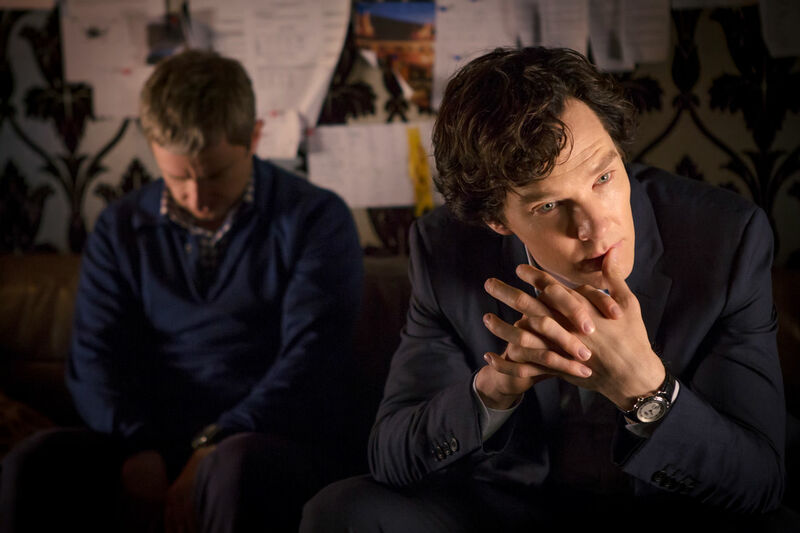 John and Sherlock. . HD Wallpaper and background images in the Sherlock in der BBC club tagged: photo sherlock bbc tv show season 3 character holmes 2013 benedict cumberbatch martin freeman john watson. This Sherlock in der BBC wallpaper might contain geschäftsanzug and business-anzug.